Are They Are Worth It? 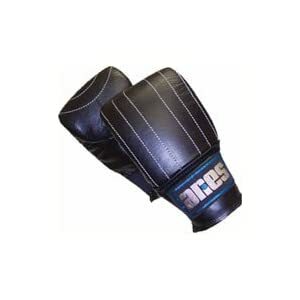 Leather bag gloves are popular training tools for many hobbyists and competitors in the fight game. Yet, some might not be sure as to whether or not they should add a quality pair of bag gloves to their collection. And by quality, we mean you will need bag gloves made of leather. I believe Non-leather bag gloves can be decidedly lacking. Again, bag gloves have been around for decades yet they still remain a bit misunderstood. Basically, many fighters will let their boxing gloves perform double duty. That is to say, they will use the gloves for sparring and for training. That is not necessarily a bad idea. In fact, it is recommended. However, it is also recommended to add a decent pair of leather gloves to your equipment collection. They can perform quite effectively in training which is a major plus. Now, in all honesty, vinyl bag gloves can be considered somewhat worthwhile training gloves but they are not as durable. I for one like to buy something a little more expensive that will last a very long time. That means they certainly will not last as long as quality leather bag gloves. Additionally, they might not be able to deliver the same levels of safety in training. Some vinyl gloves are very cheap in their design and that can prove to be an enormous hazard when training. Remember, the bones in the knuckles compress on impact which can prove problematic with weak protection. Leather is much more durable than vinyl. That means it provides better protection. Consider that another reason why it is so well recommended. Of course, the fact that the bag gloves are made of leather does not automatically make a particular brand of gloves any good. Rather, you need to purchase a decent pair of gloves that have been made by a quality manufacturer. 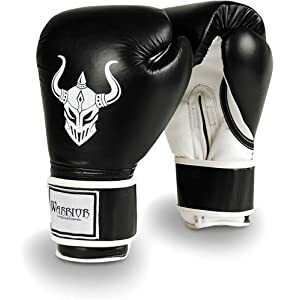 Since boxing, kickboxing, and mixed martial arts are so popular, you will discover that there are a host of manufacturers that do an excellent job producing high quality leather gloves. Probably the two most popular in boxing circles would be Everlast and Ringside. Fans of kickboxing will swear by Twins. 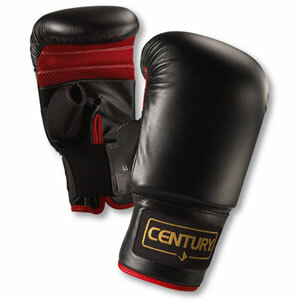 MMA practitioners will generally look towards Revgear, Century and UFC brands. Which ones are the best? Honestly, the answer to that will depend upon you own personal needs and requirements. 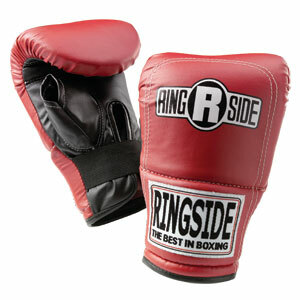 All of the gloves are excellent and will serve your training purposes quite well. 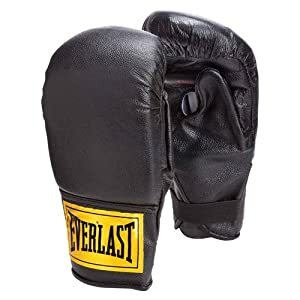 Really, you cannot go wrong when you purchase a high quality, top of the line pair of bag gloves. There really are not any negatives to a pair of leather bag gloves. They last a long time and deliver on all expectations. That is why you cannot go wrong purchasing them. Leather lasts much longer than vinyl. Buy Leather! I say buy leather. But I am also one to save my money to get the best. What do you say? Leather or Vinyl? Find out what others say and leave your words of wisdom as well. 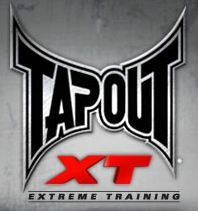 Here's your chance to let us know what you wear while training for the ring! Start right here with a title. Leather wins, hands down! You can't beat it, literally!